Several studies have shown how sleep is vital for physical health. The lack of sleep can lead to overeating, problems in learning and memory, and increases the risk of developing serious health problems like cardiovascular diseases. However, it turns out that sleep isn’t just important for this aspect of health; it’s also vital for skin health. The lack of sleep can trigger or exacerbate skin problems. 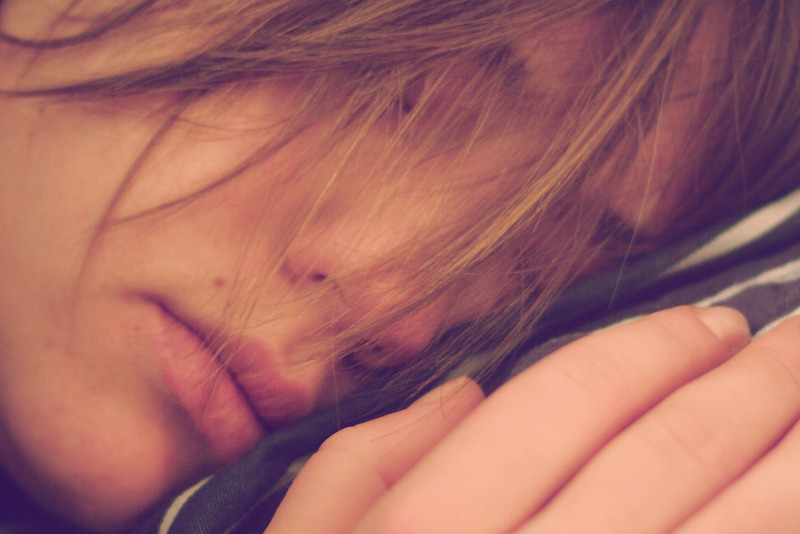 When you’re deprived of quality sleep, your body produces more cortisol. It’s the stress hormone that increases oil production and leads to skin inflammation. This is why when you lack sleep, you are more prone to acne breakouts. The lack of sleep can also exacerbate some skin conditions like eczema and atopic dermatitis. This can be a vicious cycle as itchiness from these skin problems can lead to disruption in sleep. And sleep deprivation can lead to elevated level of stress hormones, intensifying the inflammatory process of these skin conditions. With these effects of sleep on your skin, it is therefore important to make sure that you’re getting the right amount and quality of sleep especially if you’re keen on improving your skin. Caffeine is one of the most known stimulants in the world. In fact, in a 2001 Sleep in America poll, over 40% of the respondents admitted that they’re “very likely” to use caffeinated beverages to fight off daytime sleepiness. The drug works by blocking the sleep-inducing chemicals in the brain. It affects the body very quickly, reaching its peak level in the blood within 30 and 60 minutes. Drinking caffeine hours before you sleep disrupts both the quality and quantity of your sleep. Research shows that caffeine can affect your body clock which can reduce your total sleeping time. It takes a while for the body to process and eliminate caffeine that experts suggest avoiding it 6 hours prior to bedtime. Sleeping with the humidifier on through the night can help soothe dry skin especially during winter. The humidifier keeps your skin hydrated, keeping your skin supple. When you wake up in the morning, you’ll also notice how smooth and soft your lips and hands feel. So, if you haven’t bought yourself a humidifier, then it’s time to get one now. Hitting the bed without washing your face is a big no-no. All throughout the day, your skin gets to carry several pollutants which can damage your healthy skin cells. Plus, leaving your makeup on overnight can clog your pores and lead to acne breakouts, splotchy patches, and even redness. A healthy and beautiful skin begins with cleansing. When washing your face, make sure to use a mild cleanser that suits your skin type. Some cleansers can be too harsh for your skin, stripping off its natural moisture. Moisturizing should be part of your nighttime skincare routine especially if you’re in your 40s. This is because as you age, you lose your skin’s natural moisture. It’s when your skin gets dehydrated that fine lines start to appear. Fight the signs of skin aging by using quality moisturizer. Opt for those containing retinol, vitamin C, and hyaluronic acid as these ingredients are known to hydrate the skin by attracting water into it. You may also want to include application of lip balm and lash conditioner in your routine as these also help in keeping your lips and eyelashes moisturized. Keeping your face clean before hitting the bed will only be put into waste if you don’t change your pillowcases regularly. Dust, dead skin cells, and sweat can accumulate on your pillowcases and resting your clean skin on them can only trigger skin inflammation and irritation. Making sure that your pillowcases are changed regularly is one way of keeping your skin healthy while you sleep. It’s best to change them at least twice a week. You can flip your pillows over on days when you’re not changing their covers. Sleeping on the side or on the tummy may be the more comfortable position for some but this can lead to creases on the skin. These lines tend to go away quite quickly when you’re younger. But as you advance in age and as your skin loses its natural moisture and suppleness, these creases can lead to permanent fine lines. You can avoid this from happening by training yourself to sleep on your back. Drinking alcohol and eating salty food before bedtime is the dreaded formula for that puffy-eye look. Alcohol and salt tend to dehydrate the body. To compensate, the body tries to draw fluid around certain areas including your eyes. You can combat this effect though by adding an extra pillow to help drain the fluid. These are just some of the tips to help you get better sleep at night and wake up refreshed, well-rested, and most of all, with the quality of skin you’ll be proud of.